Tiny vesicles containing protective substances which they transmit to nerve cells apparently play an important role in the functioning of neurons. 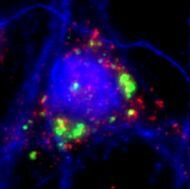 As cell biologists at Johannes Gutenberg University Mainz (JGU) have discovered, nerve cells can enlist the aid of mini-vesicles of neighboring glial cells to defend themselves against stress and other potentially detrimental factors. These vesicles, called exosomes, appear to stimulate the neurons on various levels: they influence electrical stimulus conduction, biochemical signal transfer, and gene regulation. Exosomes are thus multifunctional signal emitters that can have a significant effect in the brain. The scientists reported these results in the September 2014 issue of The Philosophical Transactions of the Royal Society B (Biological Sciences). The researchers in Mainz already observed in a previous study that oligodendrocytes release exosomes on exposure to neuronal stimuli. These exosomes are absorbed by the neurons and improve neuronal stress tolerance. Oligodendrocytes are a type of glial cell and they form an insulating myelin sheath around the axons of neurons. The exosomes transport protective proteins such as heat shock proteins, glycolytic enzymes, and enzymes that reduce oxidative stress from one cell type to another, but also transmit genetic information in the form of ribonucleic acids. "As we have now discovered in cell cultures, exosomes seem to have a whole range of functions," explained Dr. Eva-Maria Krämer-Albers. By means of their transmission activity, the small bubbles that are the vesicles not only promote electrical activity in the nerve cells, but also influence them on the biochemical and gene regulatory level. "The extent of activities of the exosomes is impressive," added Dr. Krämer-Albers. Researchers at the University of California, San Diego, School of Medicine have discovered that T-cells – a type of white blood cell that learns to recognize and attack microbial pathogens – are activated by a pain receptor. The study, reported online on October 5, 2014 in Nature Immunology, shows that the receptor helps regulate intestinal inflammation in mice and that its activity can be manipulated, offering a potential new target for treating certain autoimmune disorders, such as Crohn's disease and possibly multiple sclerosis. "We have a new way to regulate T-cell activation and potentially better control immune-mediated diseases," said senior author Eyal Raz, M.D., Professor of Medicine. The receptor, called a TRPV1 channel (image), has a well-recognized role on nerve cells that help regulate body temperature and alert the brain to heat and pain. It is also sometimes called the capsaicin receptor because of its role in producing the sensation of heat from chili peppers. The study is the first to show that these channels are also present on T-cells, where they are involved in gating the influx of calcium ions into cells – a process that is required for T-cell activation. "Our study breaks current dogma in which certain ion channels called CRAC are the only players involved in calcium entry required for T-cell function," said lead author Dr. Samuel Bertin, a postdoctoral researcher in the Raz laboratory. "Understanding the physical structures that enable calcium influx is critical to understanding the body's immune response." T-cells are targeted by the HIV virus and their destruction is why people with AIDS have compromised immune function. Certain vaccines also exploit T-cells by harnessing their ability to recognize antigens and trigger the production of antibodies, conferring disease resistance. A new crystallographic technique developed at the University of Leeds is set to transform scientists' ability to observe how molecules work. A research paper, published online in the journal Nature Methods on October 5, 2014, describes a new way of doing time-resolved crystallography, a method that researchers use to observe changes within the structure of molecules. The article is entitled, “Time-Resolved Crystallography Using the Hadamard Transform.” Although fast time-resolved crystallography (Laue crystallography) has previously been possible, it has required advanced instrumentation that is only available at three sites worldwide. Only a handful of proteins have been studied using the traditional technique. The new method will allow researchers across the world to carry out dynamic crystallography and is likely to provide a major boost in areas of research that rely on understanding how molecules work, such as the development of novel smart materials or new drugs. Observing how structure and dynamics are linked to function is key to designing better medicines that are targeted at specific states of molecules, helping to avoid unwanted side effects. "A time-resolved structure is a bit like having a movie for crystallographers," said Professor Arwen Pearson, who led the team at Leeds. "Life wiggles. It moves about and, to understand it, you need to be able to see how biological structures move at the atomic scale. This breakthrough allows us to do that." Traditional X-ray crystallography fires X-rays into crystallized molecules and creates an image that allows researchers to work out the atomic structure of the molecules. A major limitation is that the picture created is the average of all the molecules in a crystal and their motions over the time of an experiment. Dr. Experiments in mice with a bone disorder similar to that in women after menopause show that a scientifically overlooked group of cells are likely crucial to the process of bone loss caused by the disorder, according to Johns Hopkins researchers. Their discovery, they say, not only raises the research profile of the cells, called preosteoclasts, but also explains the success and activity of an experimental osteoporosis drug with promising results in phase III clinical trials. A summary of the researchers’ work was published online on October 5, 2014 in Nature Medicine. "We didn't know that the drug affects preosteoclasts, nor did we understand how important preosteoclasts are in maintaining healthy bones," says Xu Cao, Ph.D., the Lee H. Riley Jr., M.D., Professor of Orthopaedic Surgery. "Now drug companies hoping to reverse osteoporosis can look for even more drugs that make use of and target these interesting cells." The bones of mice, people, and all land animals are not only necessary for strength and structure, but also as warehouses for calcium, which cells throughout the body use continuously for everyday tasks like cell-to-cell communication, muscle strength, and even embryo fertilization and hormone balance. Calcium is taken from digested food and stored in the semi-hollow space inside bones. To access the stored calcium, the inner bone goes through a process called resorption, in which cells called osteoclasts attach to the bone and dissolve the calcium and other stored minerals. Nearby, specialized blood vessels pick up the calcium and send it throughout the body. They also bring in nutrients needed for new bone formation. Under normal conditions, bone resorption is carefully balanced with bone rebuilding to maintain bone strength. Physicians and researchers at CHU Sainte-Justine, Université de Montréal, CHU de Québec, Université Laval, and Hubrecht Institute have discovered a rare disease affecting both heart rate and intestinal movements. The disease, which has been named "Chronic Atrial Intestinal Dysrhythmia syndrome" (CAID), is a serious condition caused by a rare genetic mutation. This finding demonstrates that rhythmic contractions of heart and guts are closely linked by a single gene in the human body, as shown in the study published online on October 5, 2014 in Nature Genetics. The research teams in Canada have also developed a diagnostic test for the CAID syndrome. "This test will identify with certainty the syndrome, which is characterized by the combined presence of various cardiac and intestinal symptoms," said Dr. Gregor Andelfinger, a pediatric cardiologist and researcher at CHU Sainte-Justine "The symptoms are severe, and treatments are very aggressive and invasive,” added Dr. Philippe Chetaille, a pediatric cardiologist and researcher at the University Hospital CHU de Québec." At cardiac level, patients suffer primarily from a slow heart rate, a condition which will require the implantation of a pacemaker for half of them, often as early as in their childhood. At digestive level, a chronic intestinal pseudo-obstruction will often force patients to feed exclusively intravenously. Furthermore, many of them will also have to undergo bowel surgery. By analyzing the DNA of patients of French-Canadian origin and a patient of Scandinavian origin showing both the cardiac and the gastrointestinal condition, the researchers were able to identify a mutation in the gene SGOL1 that is common to all of patients showing both profiles. Type 2 diabetes affects an estimated 28 million Americans, according to the American Diabetes Association, but medications now available only treat symptoms, not the root cause of the disease. New research from Rutgers shows promising evidence that a modified form of a different drug, niclosamide – now used to eliminate intestinal parasites – may hold the key to battling the disease at its source. The study, led by Dr. Victor Shengkan Jin (image), an associate professor of pharmacology at Rutgers Robert Wood Johnson Medical School, was published online on October 5, 2014 by the journal Nature Medicine. Dr. Jin says it is important to find a suitable medication to correct the cause of the disease as quickly as possible because the only way now known to "cure" the disease involves major gastric bypass surgery. "The surgery can only be performed on highly obese people," Dr. Jin explains, "and carries significant risks that include death, so it is not a realistic solution for most patients." And the number of patients continues to rise. The Centers for Disease Control and Prevention projects that 40 percent of all Americans now alive will develop type 2 diabetes. Type 2 is the form of diabetes once known as "adult onset," in which the body produces insulin that ordinarily would keep blood sugar under control, but either it does not produce enough insulin or the body's ability to use that insulin is degraded. According to Dr. Jin, a major cause of insulin resistance is the accumulation of excess fat in the cells of the liver, as well as in muscle tissue. The fat disrupts the process where, ordinarily, insulin would cause body tissues to correctly absorb glucose – blood sugar – and use it as a fuel. A 7-year-project to develop a barcoding and tracking system for tissue stem cells has revealed previously unrecognized features of normal blood production. New data from Harvard Stem Cell Institute scientists at Boston Children's Hospital suggests, surprisingly, that the billions of blood cells that we produce each day are made not by blood stem cells, but rather by their less pluripotent descendants, called progenitor cells. The researchers hypothesize that blood comes from stable populations of different long-lived progenitor cells that are responsible for giving rise to specific blood cell types, while blood stem cells likely act as essential reserves. The work, supported by a National Institutes of Health Director's New Innovator Award and published online on October 5, 2014 in Nature, suggests that progenitor cells could potentially be just as valuable as blood stem cells for blood regeneration therapies. This new research challenges what textbooks have long maintained: i.e., that blood stem cells maintain the day-to-day renewal of blood, a conclusion drawn from their importance in re-establishing blood cell populations after bone marrow transplants—a fact that still remains true. But, because of a lack of tools to study how blood forms in a normal context, nobody had been able to track the origin of blood cells without doing a transplant. Boston Children's Hospital scientist Fernando Camargo, Ph.D., and his postdoctoral fellow Jianlong Sun, Ph.D., addressed this problem with a tool that generates a unique barcode in the DNA of all blood stem cells and their progenitor cells in a mouse. When a tagged cell divides, all of its descendant cells possess the same barcode. Scientists have taken pictures of the BRCA2 protein for the first time, showing how it works to repair damaged DNA. Mutations in the gene that encodes BRCA2 are well known for raising the risk of breast cancer and other cancers. Although the protein was known to be involved in DNA repair, its shape and mechanism have been unclear, making it impossible to target with therapies. Researchers at Imperial College London and the Cancer Research UK London Research Institute purified the protein and used electron microscopy to reveal its structure and how it interacts with other proteins and DNA. The results were published online on October 5, 2014 in Nature Structural and Molecular Biology. Approximately one in 1,000 people in the UK have a mutation in the BRCA2 gene. The lifetime risk of breast cancer for women with BRCA2 mutations is 40 to 85 per cent, depending on the mutation, compared with approximately 12 per cent for the general population. Many women who test positive for BRCA1 and BRCA2 mutations choose to undergo surgery to reduce their risk of breast cancer. Mutations can also raise the risk of other cancers, such as ovarian, prostate, and pancreatic cancer. 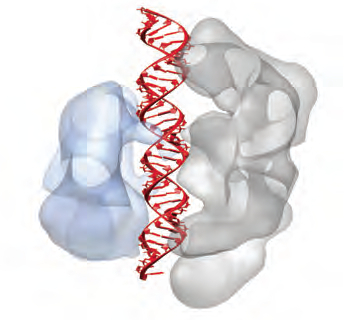 The BRCA1 and BRCA2 genes encode proteins involved in DNA repair. The DNA in our cells undergoes damage thousands of times a day, caused by toxic chemicals, metabolic by-products, and ultraviolet radiation. Repair mechanisms correct most of this damage, but unrepaired damage can lead to cancer. The current study was led by Professor Xiaodong Zhang from the Department of Medicine at Imperial College London and Dr. Stephen West at the London Research Institute. "This study improves our understanding of a fundamental cause of cancer," said Professor Zhang, a Wellcome Trust Senior Investigator. The multitude of microbes scientists have found populating the human body have good, bad, and mostly mysterious implications for our health. But when something goes wrong, we defend ourselves with the undiscriminating brute force of traditional antibiotics, which wipe out everything at once, regardless of the consequences. Researchers at Rockefeller University and their collaborators are working on a smarter antibiotic. And in research published online on October 5, 2014 in Nature Biotechnology, the team describes a “programmable” antibiotic technique that selectively targets the bad microbes, particularly those harboring antibiotic-resistance genes, while leaving other, more innocent microbes alone. "In experiments, we succeeded in instructing a bacterial enzyme, known as Cas9, to target a particular DNA sequence and cut it up," says lead researcher Dr. Luciano Marraffini, head of the Rockefeller’s Laboratory of Bacteriology. "This selective approach leaves the healthy microbial community intact, and our experiments suggest that by doing so you can keep resistance in check and so prevent certain types of secondary infections, eliminating two serious hazards associated with treatment by classical antibiotics." The new approach could, for instance, reduce the risk of C. diff, a severe infection of the colon, caused by the Clostridium difficile bacterium that is associated with prolonged courses of harsh antibiotics and is a growing public health concern. The Cas9 enzyme is part of a defense system that bacteria use to protect themselves against viruses. The team coopted this bacterial version of an immune system, known as a CRISPR (clustered regularly interspaced short palindromic repeats) system and turned it against some of the microbes. The largest genome-wide association study (GWAS) to date, involving more than 300 institutions and more than 250,000 subjects, roughly doubles the number of known gene regions influencing height to more than 400. 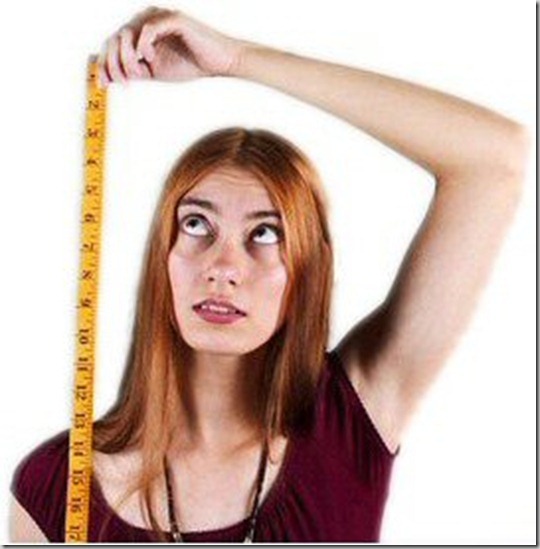 The study, from the international Genetic Investigation of Anthropometric Traits (GIANT) Consortium, provides a better glimpse at the biology of height and offers a model for investigating traits and diseases caused by many common gene changes acting together. The findings were published online on October 5, 2014 in Nature Genetics. "Height is almost completely determined by genetics, but our earlier studies were only able to explain about 10 percent of this genetic influence," says Joel Hirschhorn, M.D., Ph.D., of Boston Children's Hospital and the Broad Institute of MIT and Harvard, leader of the GIANT Consortium and co-senior investigator on the study. "Now, by doubling the number of people in our study, we have a much more complete picture of how common genetic variants affect height—how many of them there are and how much they contribute." The GIANT investigators, numbering in the hundreds, shared and analyzed data from the genomes of 253,288 people. They checked about two million common genetic variants (those that showed up in at least 5 percent of their subjects). From this pool, they pinned down 697 (in 424 gene regions) as being related to height, the largest number to date associated with any trait or disease. "We can now explain about 20 percent of the heritability of height, up from about 12 percent where we were before," says co-first author Tonu Esko, Ph.D., of Boston Children's Hospital, the Broad Institute, and the University of Tartu (Estonia).